The Mahanoy City Public Library received a $1,000 grant from Locust Ridge Wind Projects via Avangrid Renewables Community Sponsorship. The money was used to purchase 28 America The Beautiful books to update its selection of U.S. state titles. 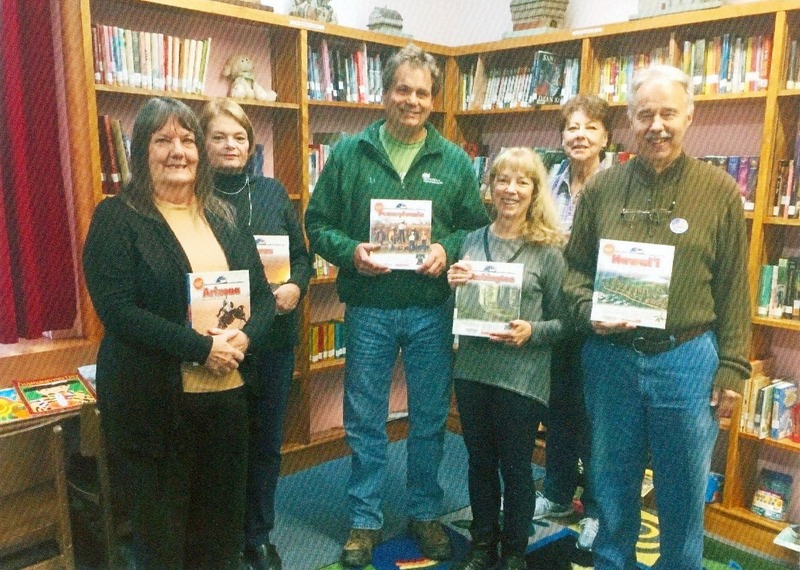 Taking part in the presentation were book selection committee members: Edith Messerschmidt and Donna Peca, Lee Van Horn, plant manager, Avangrid Renewables Locust Ridge Wind; book selection committee members, Peg Coombe and Janet Kurzinsky, and Tom Seiberling, library director.